Looking for ways to help your children learn good money habits? 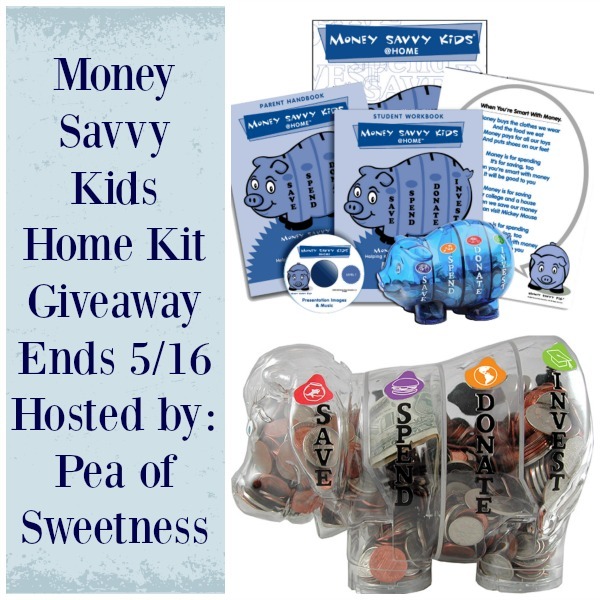 Money Savvy Generation offers the award-winning Money Savvy Kids Home curriculum, a creative, child-friendly educational program that teaches personal finance basics in a fun, approachable way. Based on the concepts introduced in the classroom version of the EIFLE award-winning Money Savvy Kids classroom curriculum, Money Savvy Kids Home is an economical way to bring the lessons into your own home. See what Emilee at Pea of Sweetness thought of this great program to teach kids finances. Money wasn’t talked about when I was growing up, I think it’s super important that kids know about the different aspects of finances. Yes, I definately think it’s important to teach your kids different aspects of finances.